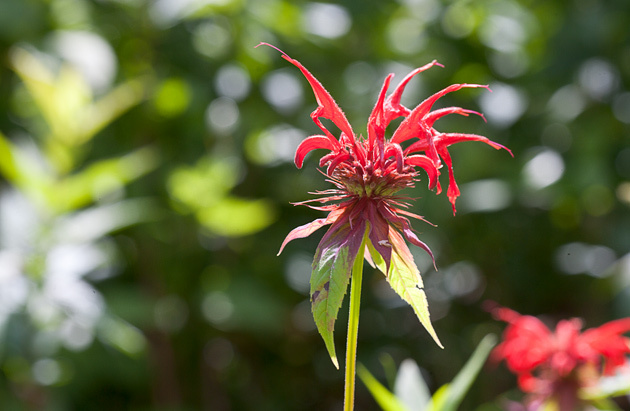 Bee Balm (Monarda didyma) is a member of the mint family, and as the name implies, holds lots of attraction for bees, butterflies, and hummingbirds. 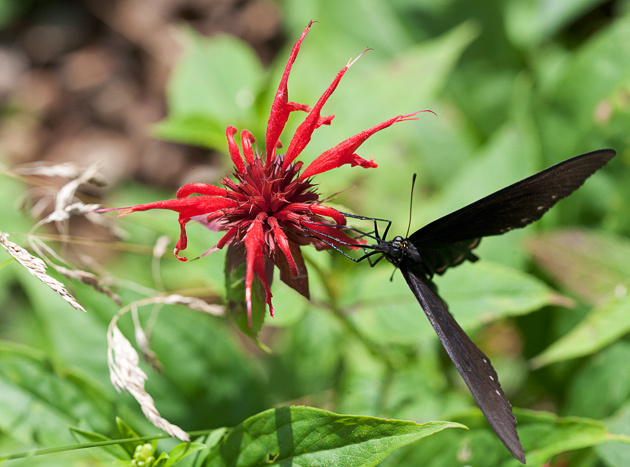 There is also a purple bee-balm found in the Great Smoky Mountains National Park. 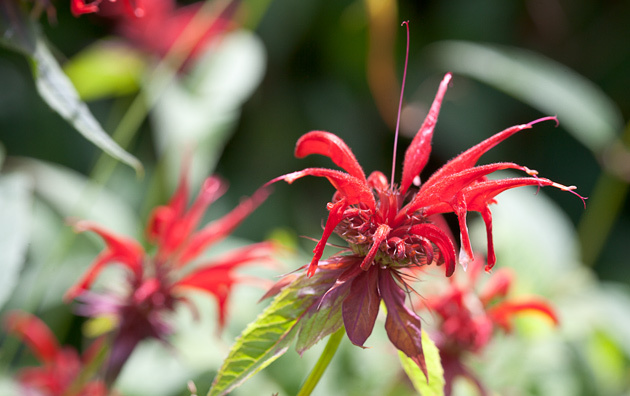 The examples above and below were found along the Clingman’s Dome Road, where this wildflower is plentiful.